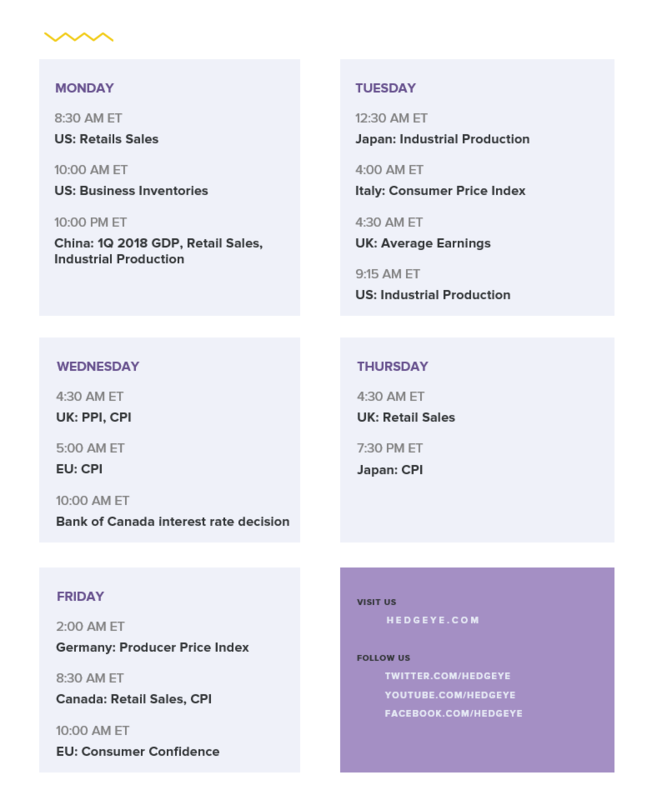 Editor's Note: Below is a complimentary edition of our weekly macro newsletter Market Edges. Click here to learn more about Market Edges. It's getting (a lot) more interesting in financial markets. Growth is slowing in Europe and China. And yes, it's impacting global equity markets. From their year-to-date highs, the German DAX is down -8.5% and the Shanghai Comp is -13%. 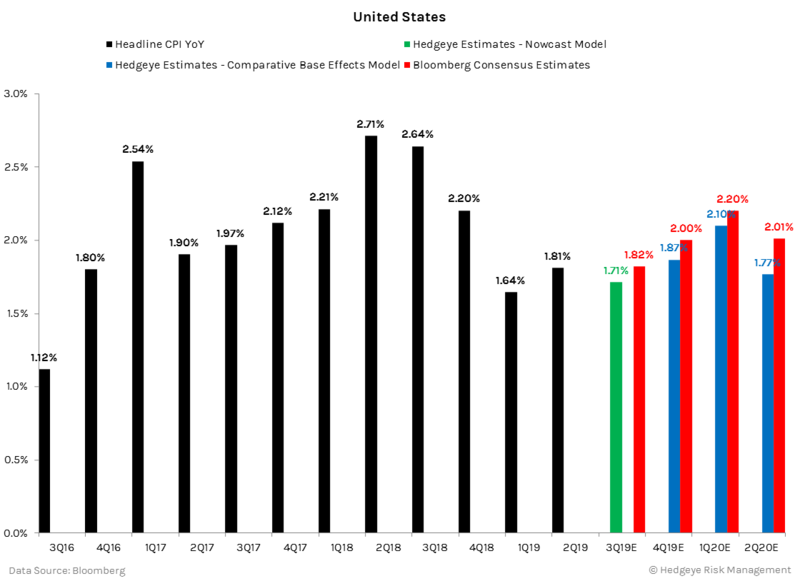 Our models are also signaling a slowdown in the U.S. economy in the back half of 2018. This may explain why U.S. equity markets are continuing to signal lower highs. Here's insight from CEO Keith McCullough in a note to subscribers this morning. 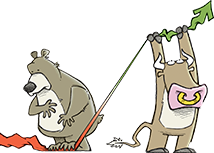 "We haven’t shorted SPY yet… because the S&P 500 had not yet tapped the top-end of the @Hedgeye Risk Range. Timing matters - with the top-end of the range = 2684, a complacent implied volatility DISCOUNT of -32% vs. 30-day realized, and consensus positioning (CFTC futures/options) approaching year-to-date highs on the net LONG side we might get the go signal today." 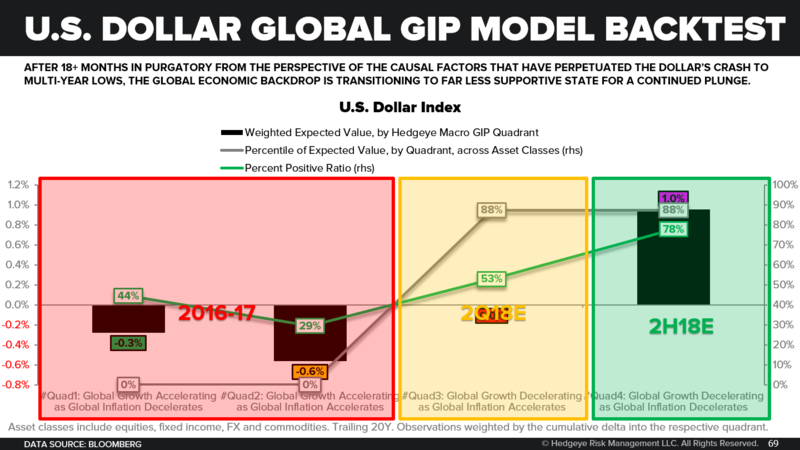 The broad-based slowdown in global growth explains why our asset allocation model, TACRM, just went to 100% cash. In other words, expect market volatility to pick up. Be increasingly cautious. That's an underlying theme in this edition of Market Edges. 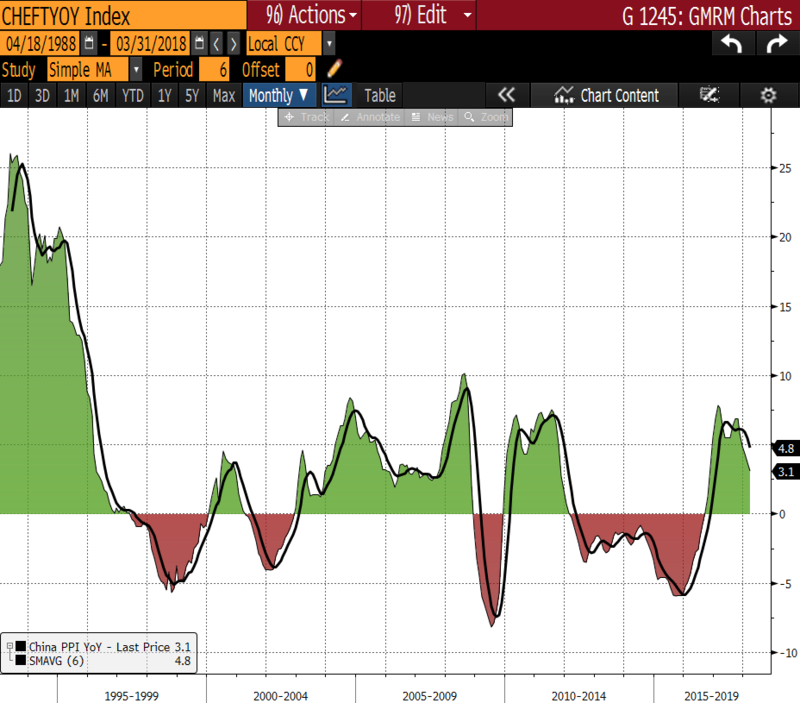 We dissect our USA #Peak Cycle call in Client Talking Points, explain why U.S. corporate profits are likely topping out in What the Media Missed and Senior Macro analyst Darius Dale describes our outlook for growth and inflation in Chart of the Week. In other Market Edges sections, we feature interesting analysis from Demography analyst Neil Howe on "Investing in the Intangible Economy" in Sector Spotlight. 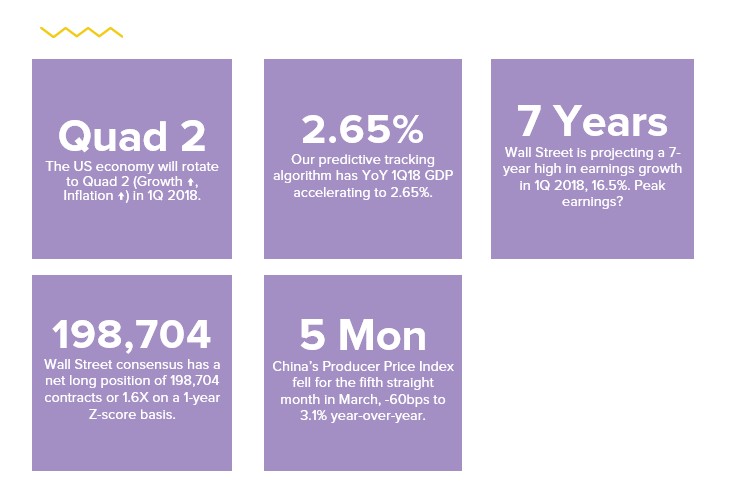 In Around the World, we highlight recent economic developments in Europe, China and the U.S. that further bolster our calls on growth slowing. 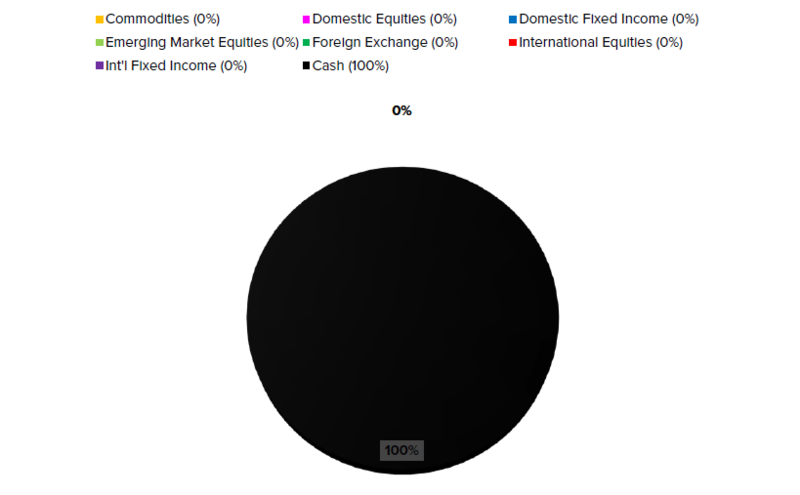 CLICK HERE to read this week's full asset allocation update. CLICK HERE to watch a brief video, “Understanding How We Think About Asset Allocation." 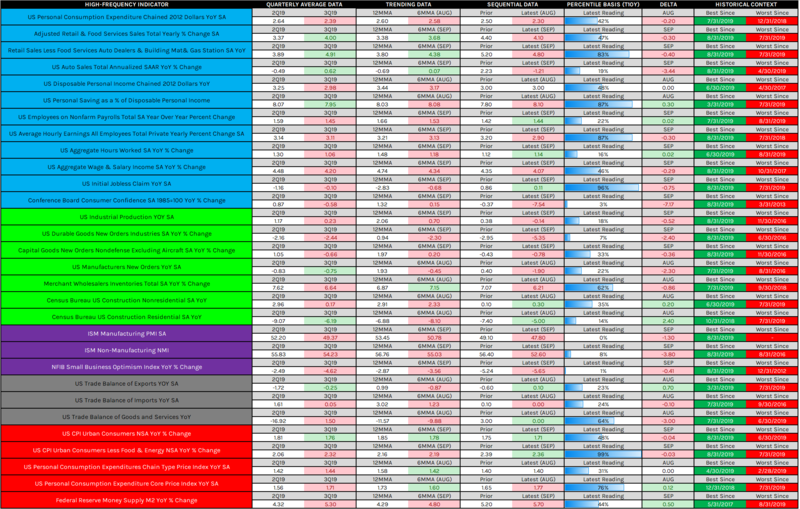 EDITOR'S NOTE: TACRM (Tactical Asset Class Rotation Model) asset allocation signals are generated using our highly quantitative risk management system that relies on mean variance optimization techniques to attempt to produce superior risk-adjusted returns in a diversified global portfolio on an ex-ante basis. CLICK HERE to read this week's full TACRM asset allocation update along with the accompanying bullish and bearish exposure signals. Below are three charts from our institutional Quarterly Macro Themes presentation that we wanted to highlight. They distill why we think the U.S. economy will likely peak and roll over in the back half of 2018. 1. Retail Sales: Is This the Peak? 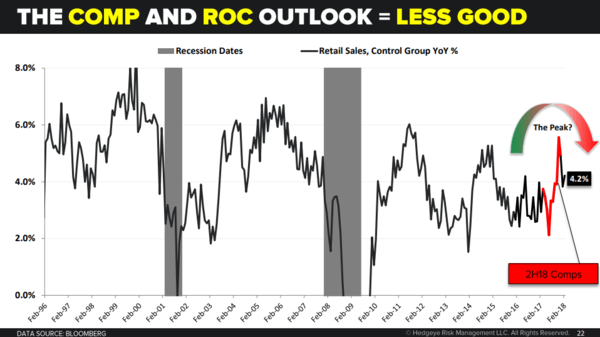 Retail Sales Control Group (a good proxy for the GDP input) was +0.1% M/M and accelerating +30bps on a Y/Y basis to +4.2% with Q/Q annualized tracking at +1.0%. Recall, payroll tax withholding changes didn’t hit until almost mid-February, so it’s likely the impact of higher after-tax income would make a significant contribution in February …. That is more likely to manifest in the March/April data. The comps get significantly harder on the Retail Sales Control Group. 2. Luxury Consumption: Is This the Peak? Long high-ticket discretionary consumption has been a running macro sub-theme over the last 6 quarters, alongside the progressive acceleration in headline growth and rampant, one-way asset price inflation. 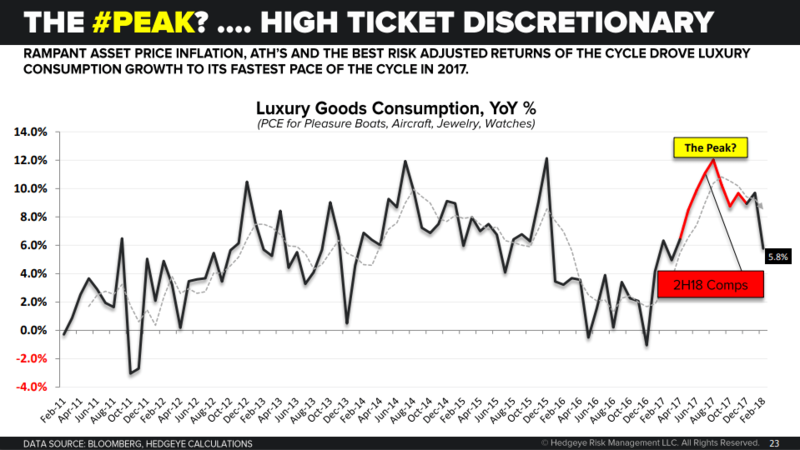 After cycle high growth in 2017, Luxury consumption is part and parcel of the broader comp dynamic as we roll through the year. Remember, how this works …. If your income is the same but you save less, consumption is higher. The Savings Rate printed a 2-handle (2.4%) for the 1st time this cycle in November/December and the decline in the savings rate over the past year has been a notable support to consumption growth alongside flattish aggregate income growth. The Savings Rate has been falling ~80-100 bps year-over-year and unless we continue to plumb new lows, the tailwind to consumption growth will progressively recede. 3. Durable Goods: Is This the Peak? 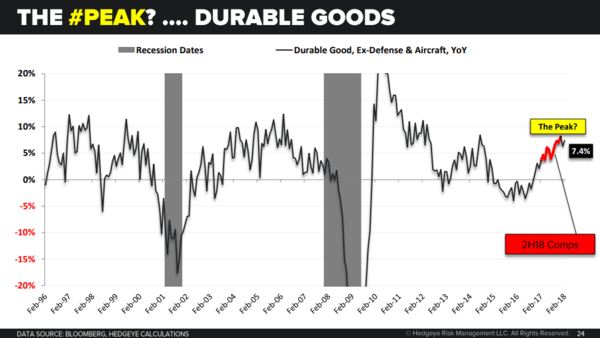 Headline Durable Goods: +3.1% M/M and accelerating to +8.9% Y/Y and holding just south of multi-year highs. The gain in the headline was singularly a function of volatility in the Private Aircraft component which was up +25.5% M/M but decelerated to +19.6% Y/Y. Durable Ex-Defense & Aircraft: Strong print, rising +1.4% sequentially and accelerating to +7.4% Y/Y = also holding just off of 4-year highs. Capital Goods: Similarly strong, rising +1.8% sequentially and accelerating to +8% Y/Y. Progressively harder comp setup remains the latent RoC backstory as we move into and through 2H. Below is a brief excerpt from today's Early Look written by Senior Macro analyst Darius Dale. Click here to read this entire Early Look. Below is an excerpt from an institutional research note written by Demography Sector Head Neil Howe. 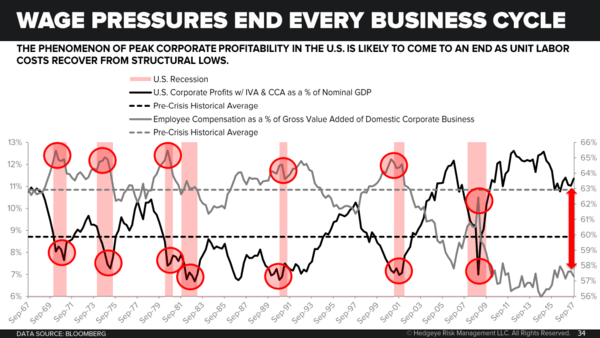 Are corporate earnings losing their market-moving potential? 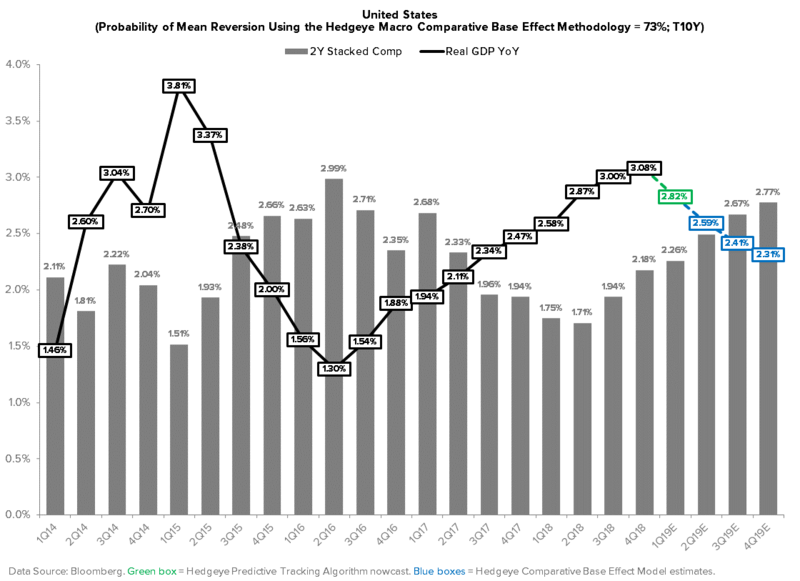 That’s the question posed by researchers Feng Gu and Baruch Lev in a new report published in Financial Analysts Journal (FAJ), which finds that even perfect prediction of earnings no longer generates a hefty above-market return. In the FAJ report, researchers Gu and Lev examine historical corporate earnings beats and misses alongside stock market returns going back to the late 1980s. 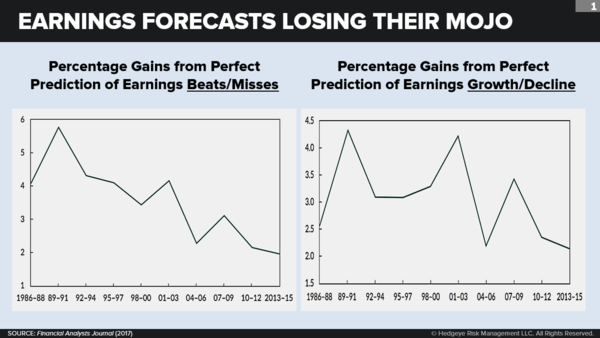 They consider a hypothetical “perfect” investor who, at the beginning of a given quarter, held a long position in every company that would subsequently beat its quarterly earnings estimate and held a short position in every company that would subsequently miss its quarterly earnings estimate. The conclusion: In that given quarter, such an investor would have generated a rather sizable 6% premium over the rest of the market in 1989-91. But the same investor would have generated just 2% more than the market in 2013-15. 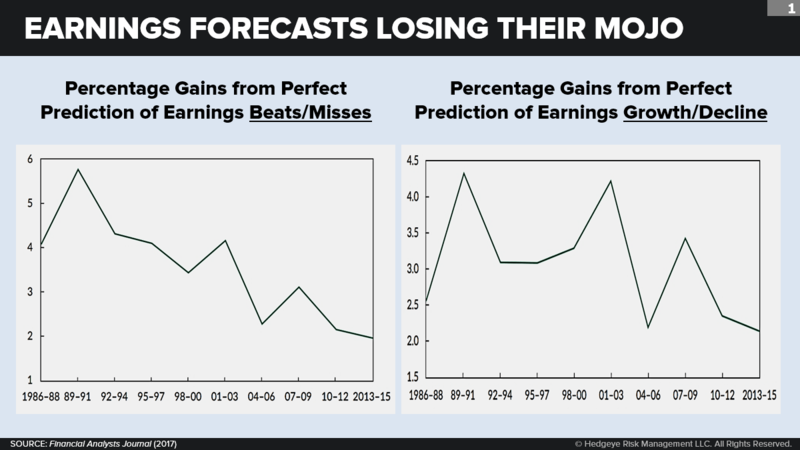 What if we wanted to look not only at beats and misses, but also at absolute earnings growth and decline? The researchers accounted for that as well by constructing a second hypothetical scenario in which an investor, at the beginning of a quarter, held a long position in every company that would subsequently post quarterly earnings growth and held a short position in every company that would subsequently post quarterly earnings decline. Here again we see evidence of a weakening relationship: In that given quarter, such an investor would have generated a 4% premium over the rest of the market in 1989-91. But the same investor would have generated just 2% more than the market in 2013-15. Some have pointed to the “earnings game” rewards smooth talkers, not outperformers or that “accounting is in the eye of the beholder.” Yet there may be a better explanation of the weakening earnings-return relationship—one which takes into account the huge rise we’ve seen in strategic assets that generate net benefits, are rare, and are difficult to imitate. And that’s the fundamental shift toward an intangible economy. 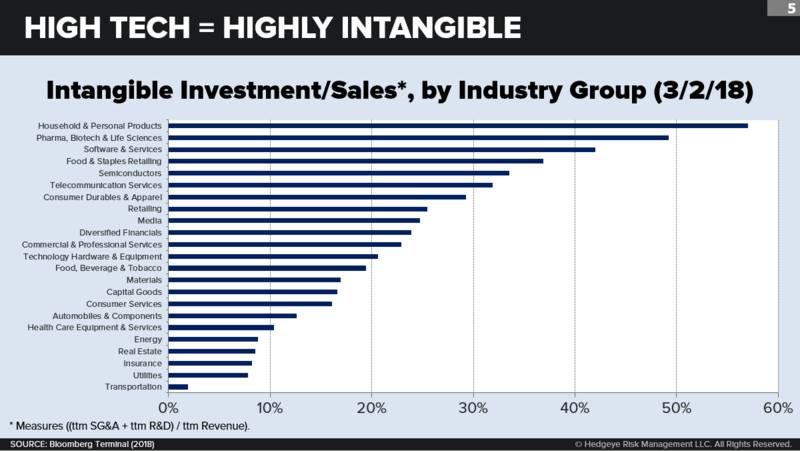 The shift toward intangible assets is on full display in high-tech fields. The average U.S. exchange-traded company in the software and services industry group spends 42.0% of its revenue on intangible investments, as measured by trailing 12-month (ttm) SG&A expenses plus ttm R&D expenses. 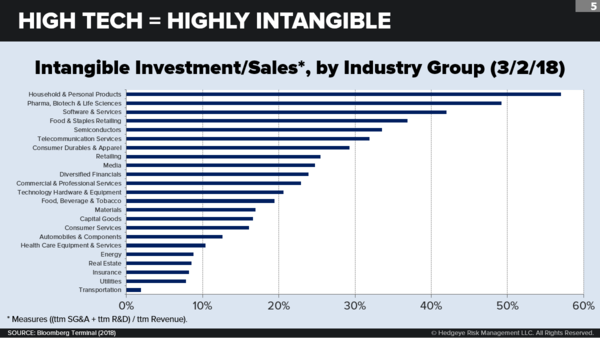 (Because most companies don’t break out all of their intangible investments separately on their balance sheets, researchers tend to use SG&A combined with R&D as a proxy.) This is the third-highest mark of any industry group, behind only household and personal products (at 57.0%) and Big Pharma (49.2%). 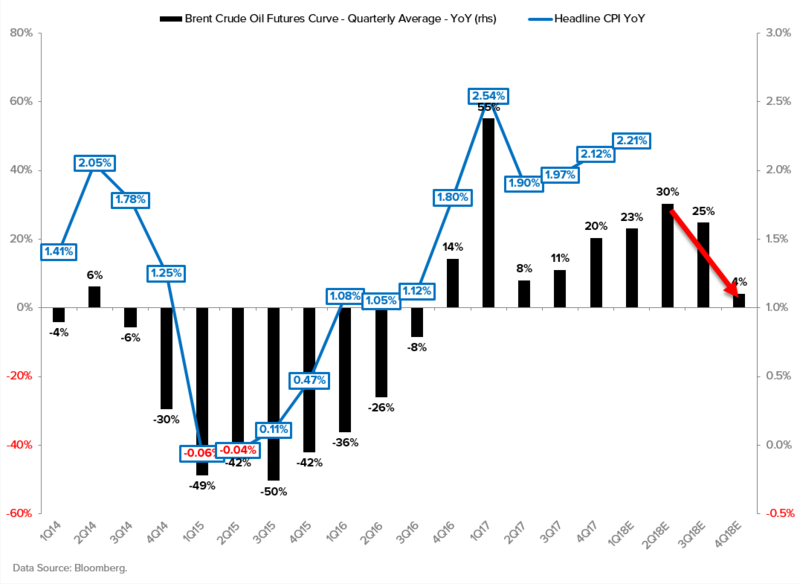 But it bears mentioning that CPG companies have been cutting their intangible investments at a rate unmatched by any other field—down nearly 60% since 2010. Software and services, on the other hand, has more than doubled its intangible investment over that period, the highest growth rate of any field. The optimistic case. An optimistic (and pretty much the mainstream) view holds that this recent, decades-long intangible boom represents an extraordinary wave of technological innovation—centered largely on digital IT breakthroughs—that will ultimately generate dramatic gains in living standards. Like earlier waves that gave us the steam economy or the railroad economy or the electrical economy, this new wave rivals or exceeds its predecessors. So what’s ahead? The optimists point to everything from sentient robots, driverless vehicles, and block chains to gene therapy, the quantified self, and rendered realities. The pessimistic case. Problems with the optimistic account have bred a newer, contrarian viewpoint. According to pessimists, much of what we measure as a rise in intangible investment is attributable not so much to more genuine technological or cultural innovation performed by firms, but rather to rising monopoly rents claimed on the already-owned innovation that firms are exploiting. In other words, a growing share of today’s IP activity consists of the efforts of dominant firms to create new ownership rights over existing IP and to zealously defend them using strict patent, trademark, and copyright laws. By now you’re probably asking, well who’s right, the optimists or the pessimists? 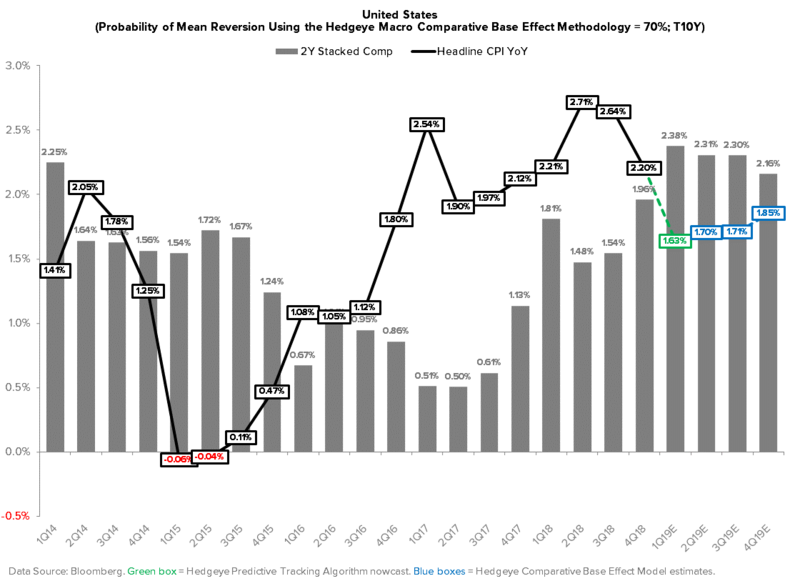 The implications for investors: If you believe in the optimistic case, then you will want to track the emergence of game-changing innovations, those most likely to generate a higher ROR, wider profit margins, and more rapid revenue growth for entire industries by way of scalability, synergies, and spillovers. If, however, you find the pessimistic case more persuasive, then you will want to track those particular firms which produce or acquire the most "ownable" IP and which can best use that IP to create, through pricing power, islands of privileged incumbency. Optimists will be more interested in the underlying technology. Pessimists will be more interested in the fine print and loopholes of each deal--and in any abrupt changes in the direction of public policy (patent law, antitrust, taxation) that could reshuffle the playing board overnight. Wall Street's earnings estimates for the first quarter of 2018 are currently sitting at levels not seen in 7 years. If Wall Street's estimate of 16.5% were to be the final growth rate for the first quarter of 2018, it would be the highest earnings growth for the S&P 500 since Q1 2011 (19.5%). 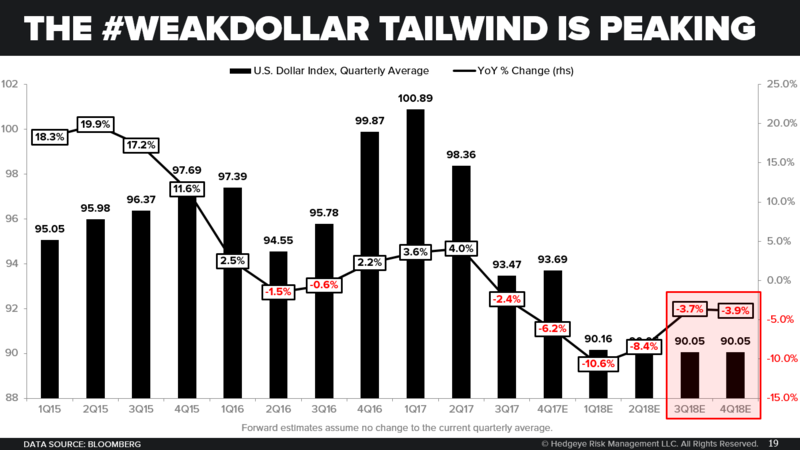 Furthermore, the "comp," against which 1Q 2018 earnings must exceed to realize any growth, was up +14.1% in 1Q 2017. That's a high bar for the first quarter to beat. And the tough comps continue throughout the year. 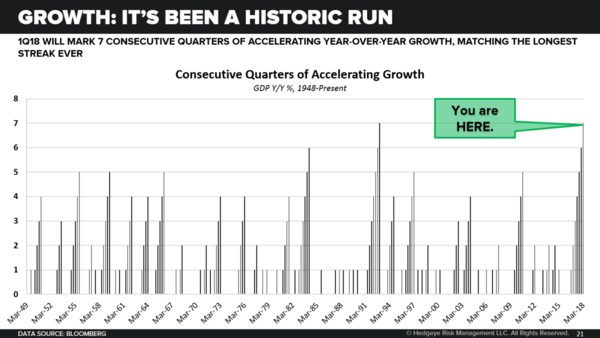 Is the peak in earnings growth in? 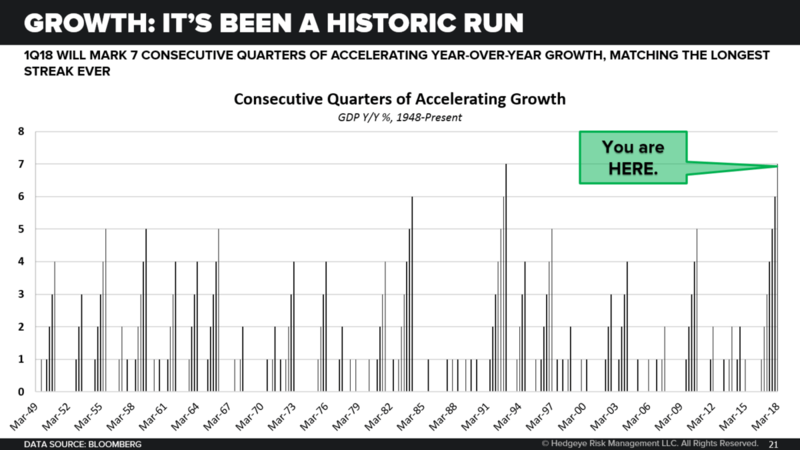 It's likely, especially considering we're modeling slowing GDP growth into the back half of 2018. To be sure, there are some difficult-to-model events, like tax reform, which could goose the numbers. 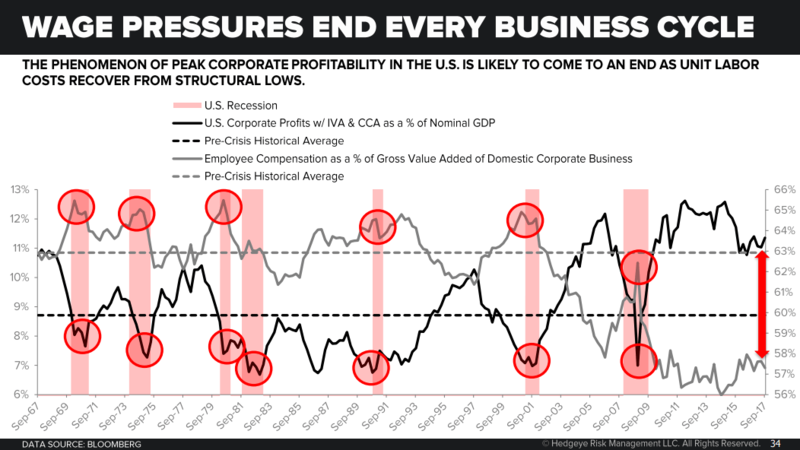 But any estimate of tax reform's impact on corporate profits is purely qualitative. 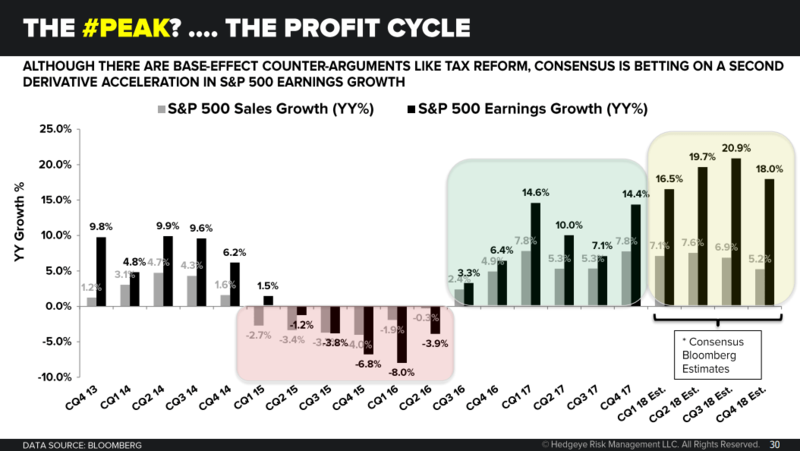 The other problem with Wall Street's earnings expectations is the #LateCycle phenomenon that is wage growth. As you can see in the chart below, for a variety of structural reasons the spread between unit labor costs and corporate profits is stretched well beyond historical norms. 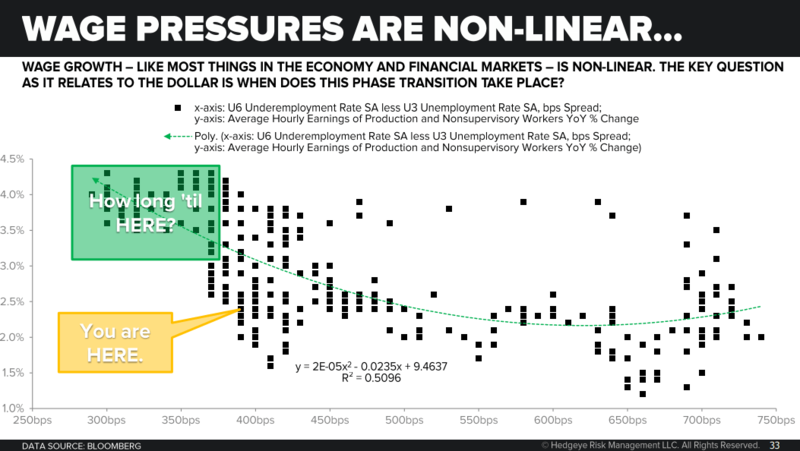 In the second chart below, we show the spread between underemployment and the traditional unemployment measure on the x-axis and average hourly earnings on the y-axis. The relationship is pretty clear, albeit non-linear in nature. 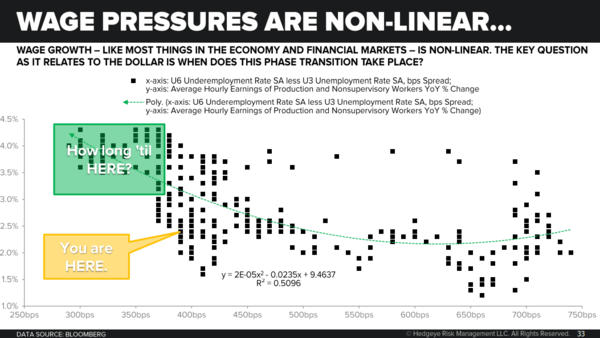 The economy picks up steam into the latter stages of the cycle, the labor market gets tight and causes wages to snap up. In other words, as Wall Street models multi-year highs in corporate profitability, it's likely that #LateCycle wage growth takes some of the air out of those estimates. We think the peak in earnings growth is likely in. Another day, another key high-frequency data point that confirms our #Quad4 forecast for the Eurozone economy in Q1. Industrial Production growth slowed -80bps in FEB to 2.9% YoY – the slowest pace since October. 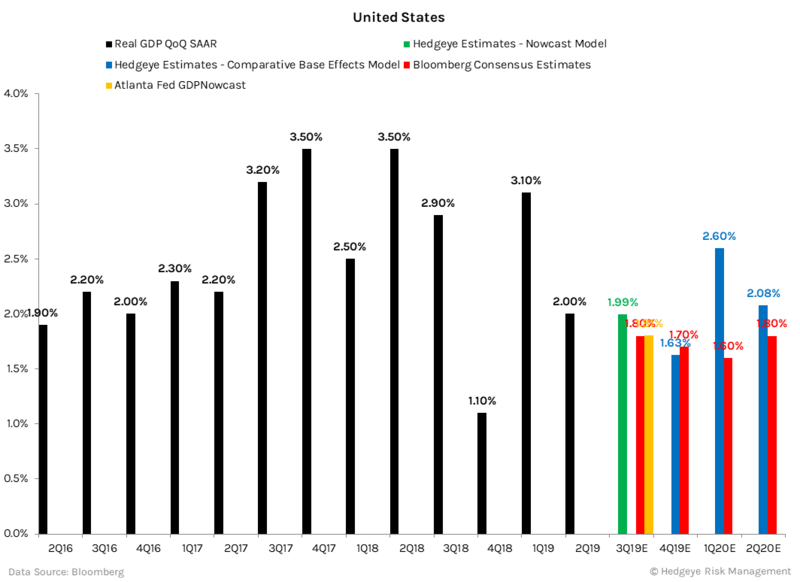 Our model is nowcasting a -40bps deceleration in Real GDP growth for the quarter (of the cycle peak) to 2.3% YoY in 1Q 2018, which compares to a more modest deceleration to 2.6% targeted by Bloomberg Consensus. 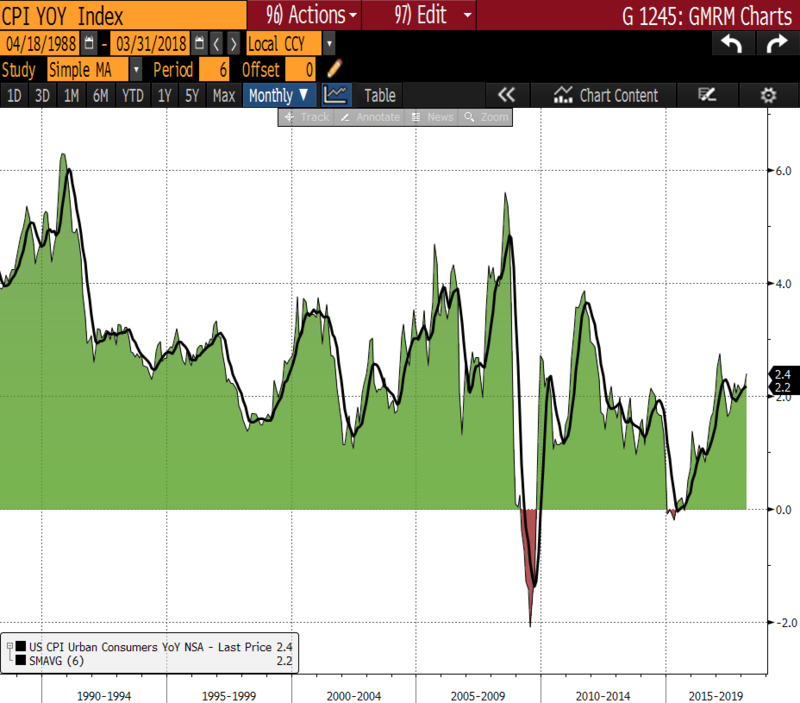 We reiterate our bearish bias on Eurozone equities and the Euro, as well as our bullish bias on long duration bonds in Germany, France, Italy and Spanish markets. China’s PPI decelerated for a fifth consecutive month in March, dropping another -60bps to 3.1% YoY. Over the past 10-15 years, manufacturing price pressures in China have been as good as any concurrent indicator for global manufacturing growth, commodity prices and the price(s) of EM risk assets. 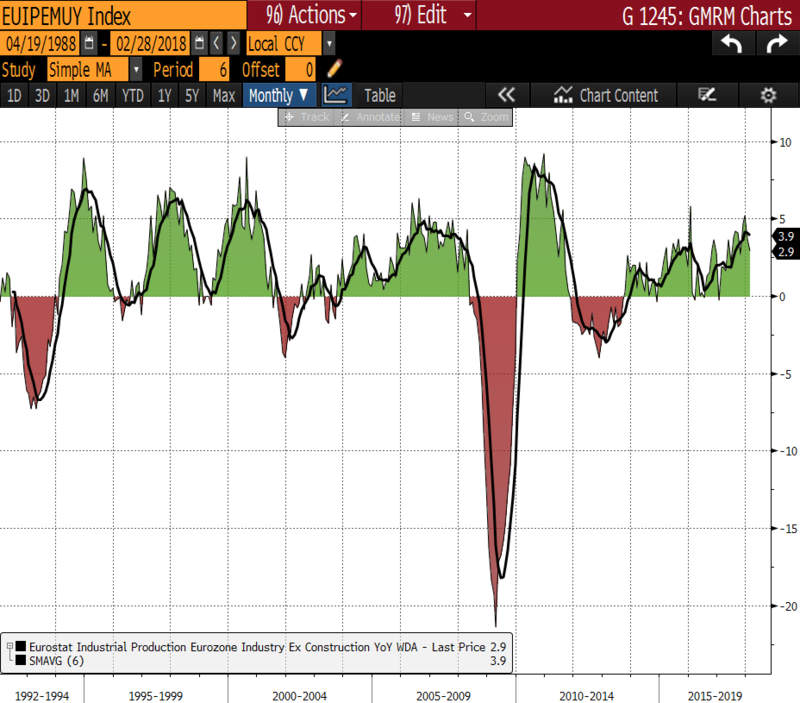 All told, we continue to anticipate negative spillover effects from trending weakness across the preponderance of key high-frequency indicators in China – an outcome that is obviously being foretold by the preponderance of major global equity markets, most of which are down for the YTD. This US's March CPI release confirmed the inflation aspect of our #Quad2 (Growth accelerating, Inflation slowing) forecast for Q1. 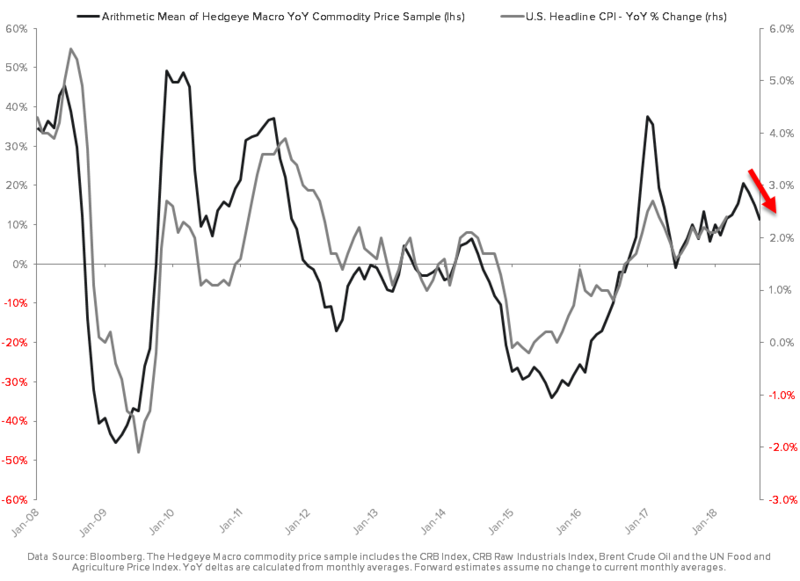 It also drove a wholesale positive adjustment to our intermediate-term inflation outlook, which now sees inflation averaging 2.49% YoY and 2.37% YoY in Q2 and Q3, respectively (up from 2.34% and 2.22% prior).